On Wednesday, the Vilnius regional court decided not to accept the Small Planet Airlines request to initiate a restructuring case for the company. 15 minutes Simon Bartkus, commercial director of the company, informed. The Civil Aviation Administration (CAA) has suspended the operating license of the company from day 29. It is assumed that Tez Tour and Novaturo are working according to expectations and are being operated by another airline. The Vilnius regional court on Wednesday refused to file a restructuring case and the CAA notified the suspension of the company's operating license. The CAA ensures that neither Tez Tour nor Novaturo customers will affect this – the vacationers leave on their trips and travel as planned, with only other airlines flying. "Today the regional court of Vilnius has issued an order to refuse a restructuring case," – 15 minutes informed by Simon Bartkus. 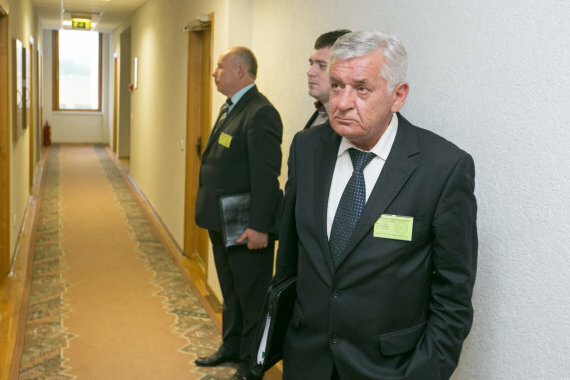 He said that within 7 days appeal could be made to the court of appeal of Lithuania. He will not hear the order, he has not yet announced it. "The company will take note of the court's arguments and decide on further actions", the company representative briefly commented on the situation. A little later, after the decision on the CAA decision by S. Bartkus on the aircraft 15 minutes there are no journalists left. The CAA decided Wednesday from 11/22/2012 to 00:01. stop the operating license of the airline issued by UAB "Small Planet Airlines" at local time. Alvydas Šumskas, deputy director of the CAA, explained that only the commercial activities of the company were suspended, but the airline's certificate remains valid. "The main argument is one – the poor financial balance and the business plan presented after a thorough analysis does not show that it generates sufficient income that can help to extinguish debt," – 15 minutes said A.Sumskas. In his conviction, Small Planet Airlines will still be able to offer a different business plan. "The company has an open door to offer other options, maybe the investor will appear, the company itself is not closed, the carrier's certificate remains valid, only the commercial activity has been suspended up to now," said A.Šumskas . The trips organized by Novaturas AB and Tez Tour UAB are carried out according to plan, the flights are operated by another airline. "Everything has to be good with your travels, because Novator has previously indicated that the plan B has, plan B starts working and the other company will fly. (…) They (tour operators – 15 minutes) were ready for a few weeks ", – stated A. Shumskas. The closest flights to Small Planet Airlines are planned for Thursday morning in Hurghada and holidaymakers should be taken from there. The Tez Tour vacationers are hired by the charter airlines of GetJet Airlines. 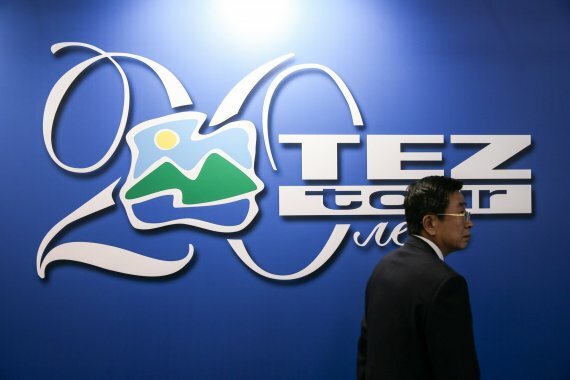 A new cooperation agreement has been signed with the new partner, Tez Tour reports to the media. GetJet Airlines, an airline, will operate flights on similar aircraft. The registered GetJet company in Vilnius publishes 7 aircraft, the company flies to holiday destinations of Kidy tour operators and serves foreign airlines. The first scheduled flight for GetJet Airlines will be in Egypt – 90 passengers will travel to the resort in Hurghada and 90 to Sharm El Sheikh. Also tourists from Egypt will be flown home to Lithuania. Tez Tour in Lithuania The head of Public Relations and Marketing Division Inga Aukštuolytė assured that holidaymakers can feel calm – all the obligations of the tour operator will be met. Holiday vacations are carried out according to a pre-planned flight schedule. "It is important for us that Small Planet Airlines has fulfilled its obligations professionally until the last moment," said I. Aukštuolytė. – We also welcome the efficiency and the ability of our new courier GetJet Airlines to take over the transport of our vacationers on time and smoothly in their chosen winter holidays. " 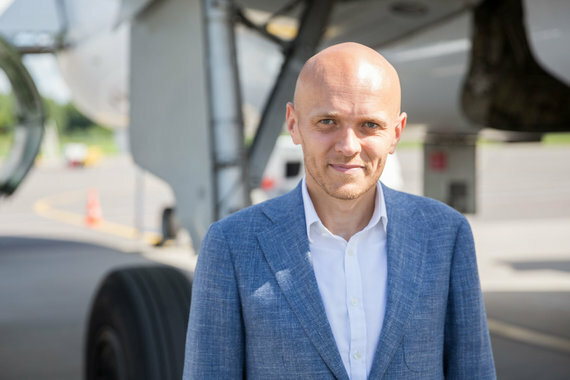 "We planned a plan" B "if the airline could not meet its contractual obligations, so it is necessary to use it in case of such a situation, the closest scheduled flights are at GetJet Airlines," explains Linas Aldonis, Managing Director of Novaturo. Passengers who have already received airline tickets issued by Small Planet Airlines will be flown at the same time as the ticket with relevant GetJet Airlines flights. 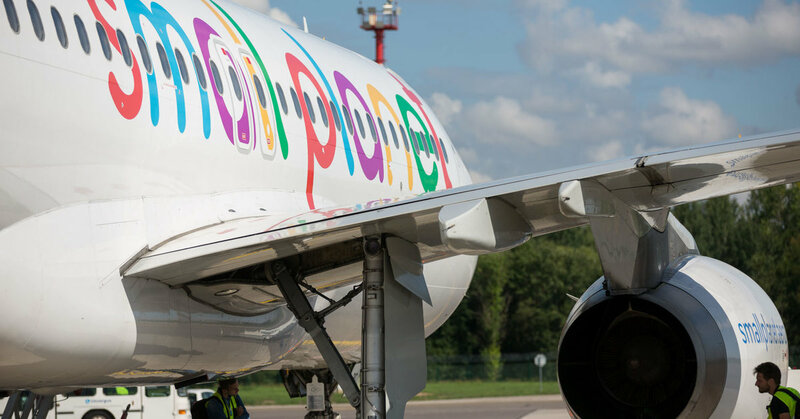 Not convinced by the "investment protocol"
This week, Small Planet Airlines announced that it has signed an investment protocol with a limited investor. The company has refused to reveal what the investor is. 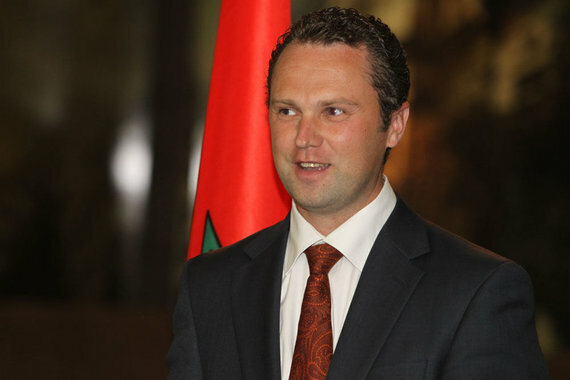 Head of the Civil Aviation Administration (CAA) said Joris Gintila BNS this week that the company has in any case not proven that it actually has an investor. "What an investor is a secret, but I can reveal that from what they have presented, we do not see that that investor has real and evidence-based intentions to invest in. There may be desires, but we do not have an investor now," said Gintila, BNS. Skycop & # 39; s lawyer, Nerijus Zaleckas, who protects the interests of passengers, assumes that the court has probably refused to increase the restructuring of Small Planet Airlines because of the fact that the company might be insolvent. Given that the CAA suspended the airline's license, preventing it from operating and not earning revenue, we can assume that the company is inevitable because it simply does not have the ability to pay with its creditors, " Zaleckas out. "After the court's decision to refuse to start a business correction, the recovery and the realization of the property will be extended, the interim measures applied and the other decisions taken to submit a restructuring decision to an enterprise will be canceled. ", he explains, noting that the company still has 7 days to appeal against the court order. According to the lawyer it is very likely that the court has taken a decision on the basis of this paragraph of the law: 3) when examining the statement, the court will reach a reasoned conclusion that the company is insolvent and, if there are other conditions for the bankruptcy of the insolvency company specified in the bankruptcy laws of the Republic of Lithuania, a statement must be submitted to the court instituting bankruptcy proceedings in accordance with the procedure established by the law on the bankruptcy of companies of the Republic of Lithuania. "An enterprise has the right to appeal against a court order or has the right to request a court to open bankruptcy proceedings, given that the civil aviation administration (CAA) An airline has been suspended, preventing it from operating and earning revenue, we can assume that the company is inevitable because it simply will not be able to pay with its creditors, "said N. Zaleckas. In search of the right planets for life: where does humanity move? Boat under the old town of Vilnius: see how Vilnius got over the great flood of 1931 | Do you know?